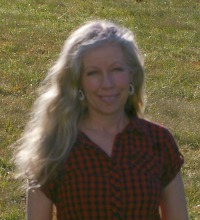 Barbara Berst Adams is author of the books Micro Eco-Farming: Prospering from Backyard to Small Acreage in Partnership with the Earth (which inspired an upcoming documentary on local small farms) and The New Agritourism: Hosting Community & Tourists on Your Farm. Both were published by the traditional royalty publisher, New World Publishing of California. The New Agritourism is sought out and used by both the farming community and agriculture universities. She is also a long-established print magazine feature article writer and photographer. Her more than 300 published credits, which include front cover feature stories, have appeared in national and international magazines such as The Herb Companion, Acres USA, Heirloom Gardener, BackHome Magazine, AgVentures Magazine, Mothering Magazine, Massage Magazine, Day Spa Magazine, The Writers Weekly, Olive Oil Times, The Growing Edge Magazine, Hobby Farms, Touch the Soil Magazine, Urban Farm and Hobby Farms Home. Her photography credits include magazine cover photos, article openers and double-page spreads. Her work has been chosen to contribute to the book, The Best of the Growing Edge International. As a child her family gardened and farmed "regeneratively by default." She loved spending time in her family's large food garden, berry patches, and grapevines, feeding the wild birds and observing nature around her. The times on her nearby grandparents' farm included hanging out in her grandma's greenhouse, participating in the production of their crops, riding her pony and raising ducklings and orphaned lambs. She has traveled to South Africa, London, France, Switzerland, the Netherlands, Liechtenstein, Mexico, Canada and various USA states, especially those in she and her husband's favorite regions of the Pacific Northwest where their home is. She enjoys her time in nature, their six grandkids, and continued travels.